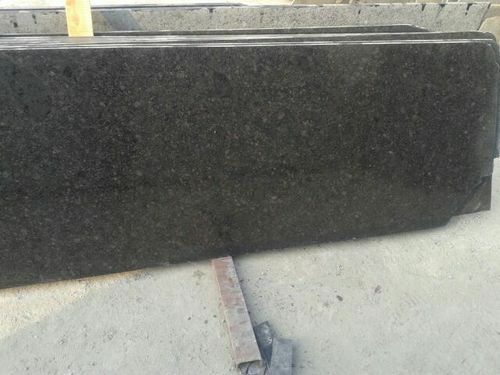 We are leading Manufacturer of Black Beauty Granite Pol. from Jaipur. India. Our range of Products, In addition, our offered stone is tested by our quality controllers to to eliminate any possible falut. our valuble clients can avail this stone at market leading price. Kapish Inc. ( ) manufactures and sells a wide range of Semi Precious Stone Tiles & Slabs, Natural building stones like sandstone, slates, quartzite, limestone, granite and marble. Various landscaping products like pebbles, hand cut, riven flagstones, cobbles & Quartz Slabs (Engineered Stone) etc. from all over the country. Indian stones have always been in demand in the international and domestic markets because of their unique features. Indian stones are available in a large variety of colours. They are strong and durable and because of their higher density structure and compactness they yield very fine results to the finishing processes. It finds specific application in large building and landscaping projects. Kapish Inc. consists of an experienced team having wide exposure in natural & artificial building stones. We have our tie ups with renowned manufacturers of quartz slabs & natural stones quarries and can supply large quantities within agreed time frame. We also supply high end designer tiles and different finish products for interiors use. We work on trust & believe in “Ethical Trading” and can provide our best services at all times through our highly professional team.